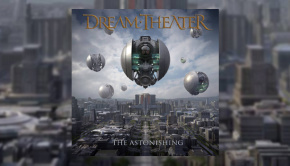 There is a heightened sense of expectation and anticipation as a high spirited crowd gather on a chilly night outside the doors of the London Palladium for the opening night of Dream Theater’s world tour and the debut performance of their latest release, The Astonishing. 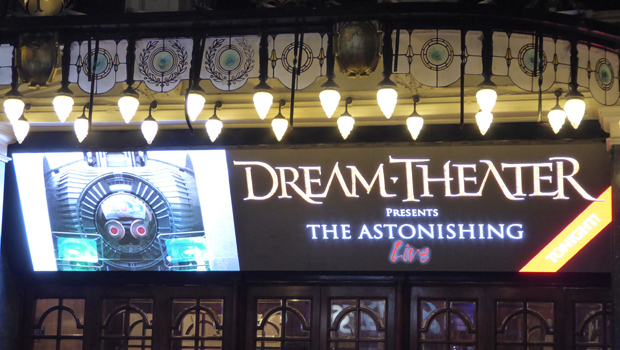 Despite a long and varied history of musical theatre, the setting certainly appears to be a curious context for one of prog’s more metal-oriented super-groups, whilst the excitable audience eagerly filling the seats don’t seem to be an entirely natural fit for such a revered and iconic venue. Yet what quickly becomes clear is that the choice of venue is a deliberate and quite telling statement of intent by the band which matches perfectly the bold and courageous statement being made by the release of a concept album which is itself over two hours of pure musical theatre. And as the evening unfolds, this powerful combination of context and concept driven performance becomes at once both the source of its triumphant success as well as its Achilles heel. This is not – and was never intended to be – a ‘gig’. There is no mining of the back catalogue to present a collection of individual songs. We are here for one purpose and one purpose only. From the projection driven backdrop, to the dressing of the stage, to the exquisitely produced libretto-style book, to the way the band are positioned and cleverly choreographed throughout the evening, the venue has been chosen precisely because of the traditional form, structure and style of operatic and musical theatre, the way it works, the way it proceeds and the way it behaves. We are here, quite simply, to witness a performance piece; a single, continuous musical experience divided into two ‘Acts’. As the lights go down, the video backdrop begins to narrate Descent of the NOMACS, the story which will take us through the entire evening. The band gradually assemble, some from concealed vantage points and, to a huge and vociferous reception, open with Dystopian Overture. However, at the end of the song there is no silence; as with an opera or a theatrical stage show, each part of the album is linked with quieter interludes, narrative signposts and video links which transition us seamlessly from episode to episode, track to track. This is underpinned as the evening progresses by the various members of the band who constantly leave the stage when they are not playing and return again when it is time for them to continue their part in the story. From behind his beautifully ornate tilt-and-swivel keyboard podium, Jordan Rudess is maestro and conductor, the musical director who, with a flick of his wrist, visibly beats out time to the other band members and brings the instruments together as and when the story dictates. James Labrie is majestic, shouldering an impressive and demanding variety of roles, characters and voices. Indeed, the band are absolutely magnificent in the way such complexity is made to look so effortless. 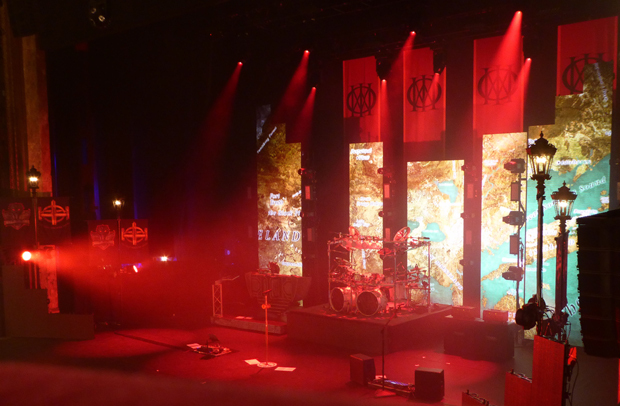 Mike Mangini’s drumming is inspired, his reach seemingly knowing no bounds as he athletically drives the show from within the confines of the structure that houses the diverse array which forms his kit. John Petrucci is composed, controlled and precise, yet cutting loose when needed to give voice to the powerful emotions and subtle arias. John Myung is a reserved but prowling presence, providing the complex and undulating foundations which add a sense of depth as well as gravity to the proceedings. Overall it is pure musical theatre, beautifully matched to perhaps one of the greatest stages in London. And that is precisely why it’s here and not, for example, at The Forum or anywhere else. The space and the place are crucial to understanding and doing justice to the journey which is The Astonishing and the performance itself is the supreme triumph of the evening. Unfortunately what makes the evening so remarkable also becomes its Achilles heel. I’m not sure how it would have been possible but I do think more needed to be done to shape our expectations of what it is we were coming to and how to get the most out of the experience being presented. Even as the notes of the first song fade, the audience are slightly caught off-guard by the continuous transition to the next stage of the story; quite naturally they want to do the things you do at a gig and show exuberant appreciation at the end of each song, whistle, clap and shout for more. But this is not what the evening seems to be about and as the first act progresses, the mismatch between theatrical performance and audience expectation starts to feel a little uncomfortable. 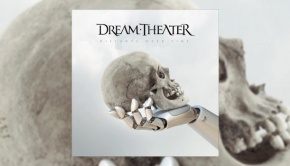 There are times during the transition periods when, despite a mask of focused concentration, Rudess appears to be almost impatient with and irritated by the vocal intrusions. Three or four times the segue to the next song is slightly delayed until the applause and comments die down. Labrie cleverly senses the situation and, I suspect, partly feels the sense of frustration himself, toward the end of the second act with Our New World he finally breaks the theatrical veneer and gives the audience what it really wants, stepping to the front of the stage and encouraging audience interaction and participation with arms held aloft. With an almost palpable sense of relief the crowd immediately respond with fervour and delight, feet pounding to the drums, hands raised and clapping all the way through to the triumphant end and a standing ovation, borne on a wave of huge affection for the band. The evening is not helped by the unfortunate directives which the Palladium seem to have given to its staff. There is a strict ‘no photographs’ policy in effect, of which we are reminded with frequent pre-recorded messages prior to the start of the show. Yet throughout the performance a casual glance around the auditorium reveals ushers running, literally at full speed up and down the aisles to intercept anyone who whips out a phone and look as if they might try and take a picture. It is unnecessary and quite intrusive on the experience the band are carefully trying to create and undermines what is otherwise a night of gloriously inventive (if cheesy) theatre and creative progressive music. 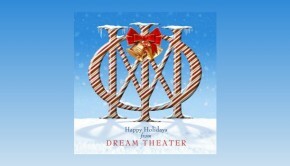 Dream Theater are to be congratulated for the courageous risk they have taken, not just with the release itself but also for daring to go one step further and see it through to its logical consequences as a live performance. Bravo.